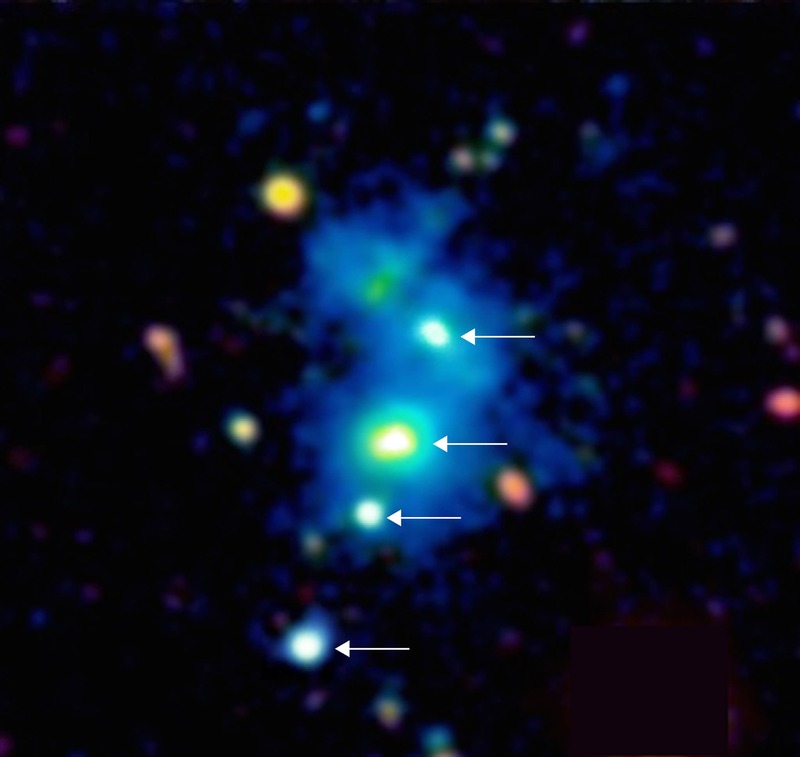 Using the W. M. Keck Observatory in Hawaii, a group of astronomers of the Max Planck Institute for Astronomy have discovered the first quadruple quasar: four rare active black holes situated in close proximity to one another. The quartet resides in one of the most massive structures ever discovered in the distant universe, and is surrounded by a giant nebula of cool dense gas. Because the discovery comes with one-in-ten-million odds, perhaps cosmologists need to rethink their models of quasar evolution and the formation of the most massive cosmic structures. The results are being published in the May 15, 2015 edition of the journal Science.